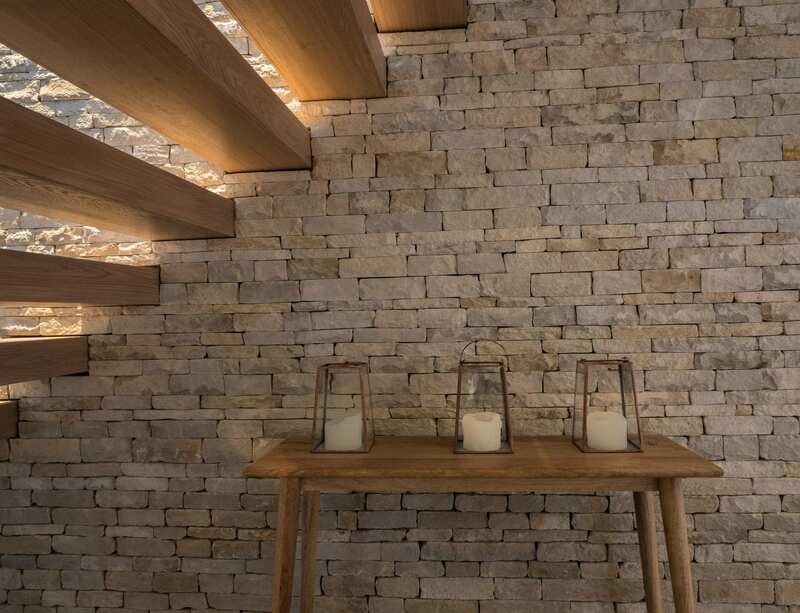 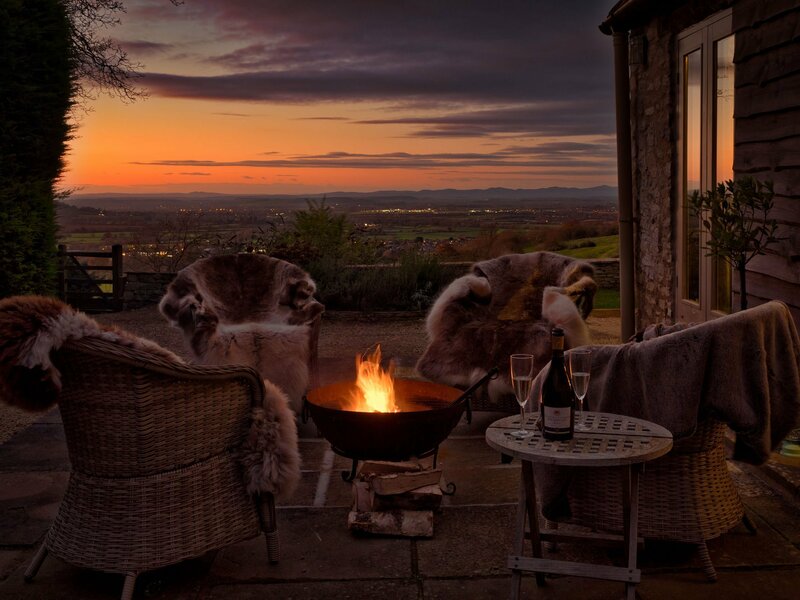 Designed to optimise it's amazing location high on the Cotswold escarpment, overlooking its own vineyard, the Lodge has been designed with a touch of Alpine chic to create a warm and welcoming home; one with some of the finest views in the Cotswolds. 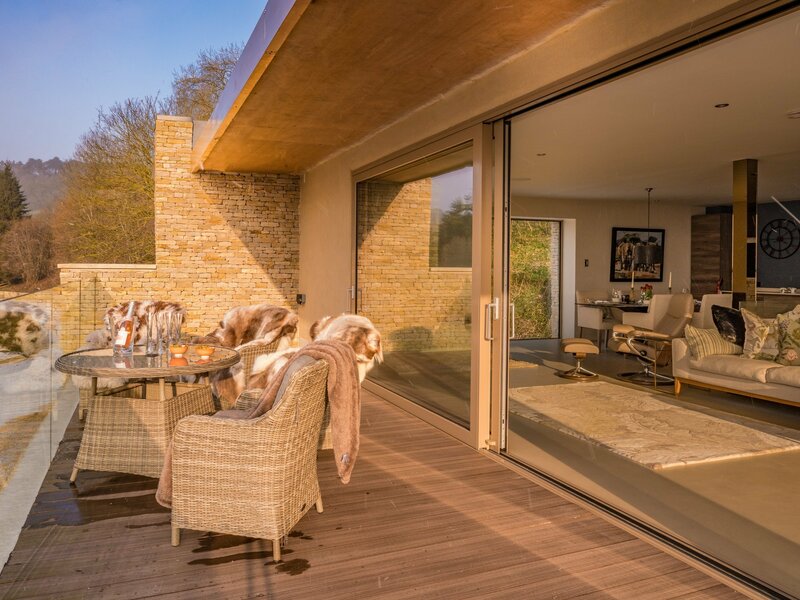 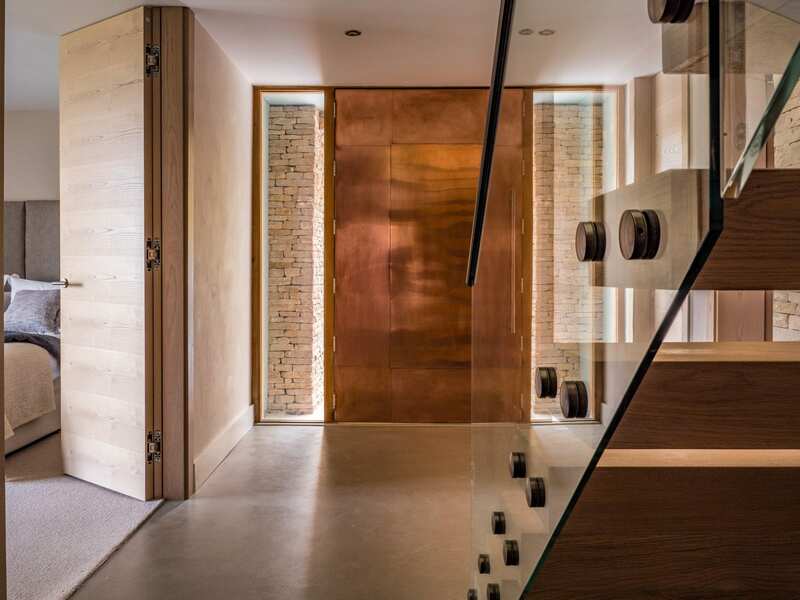 “Contemporary Cotswold” in style, the Lodge has been crafted with elements of Alpine design to create warmth, comfort and style; whilst it’s high specification provides many of the important features essential for modern living. 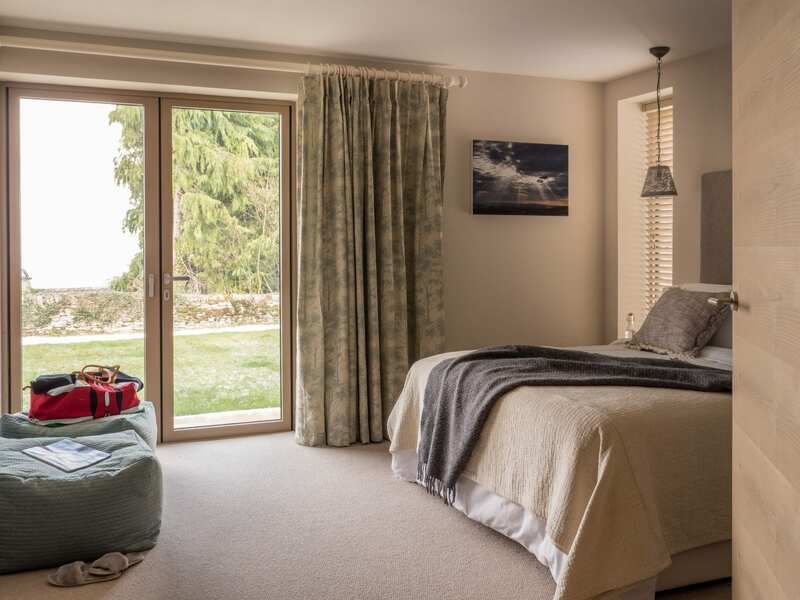 On the ground floor there are two king size bedrooms with en-suite shower rooms, one of which can be converted into a twin bedroom. 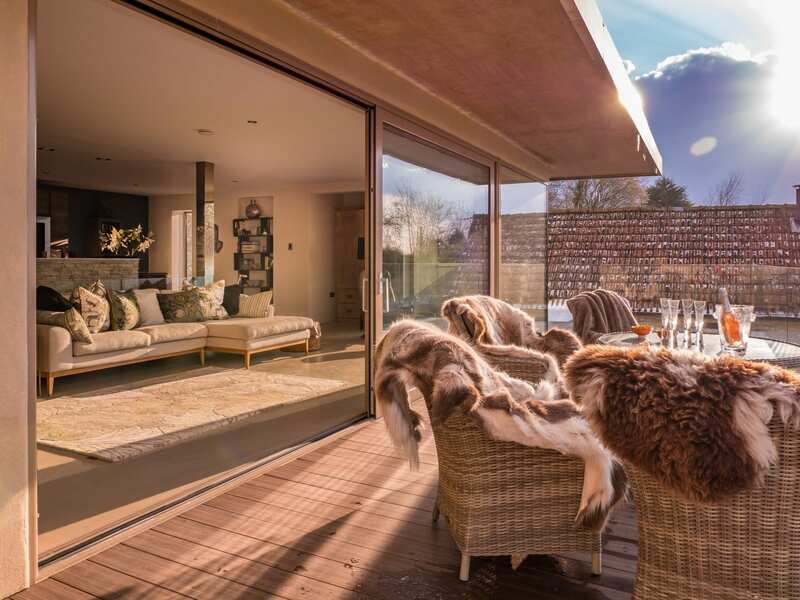 The ground floor coffee bar and study are both lined with aged larch timbers and the coffee bar opens out onto a barbecue courtyard and garden breakfast terrace; with expansive views across to the Malvern Hills. 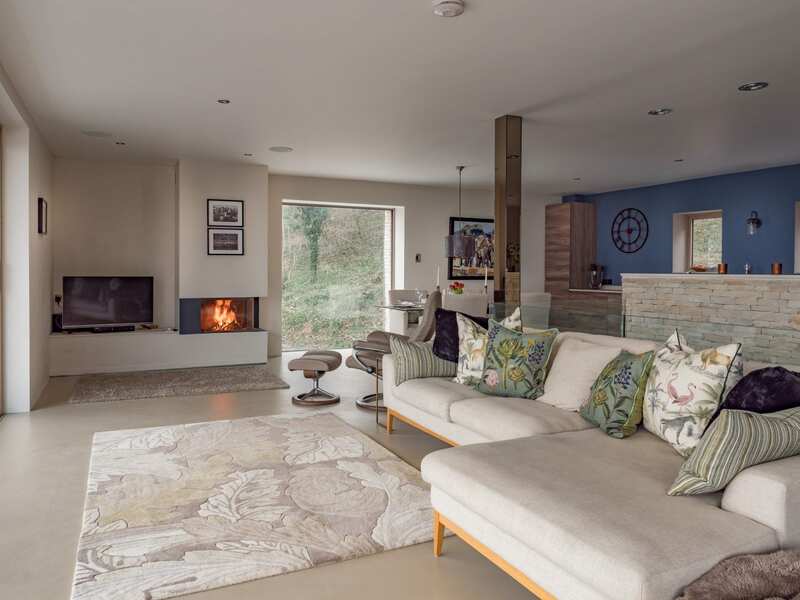 An elegant cantilever staircase leads up to the large first floor open plan living space that opens out onto a full width ‘sky deck ‘ terrace giving epic views over the Severn Vale and beyond. 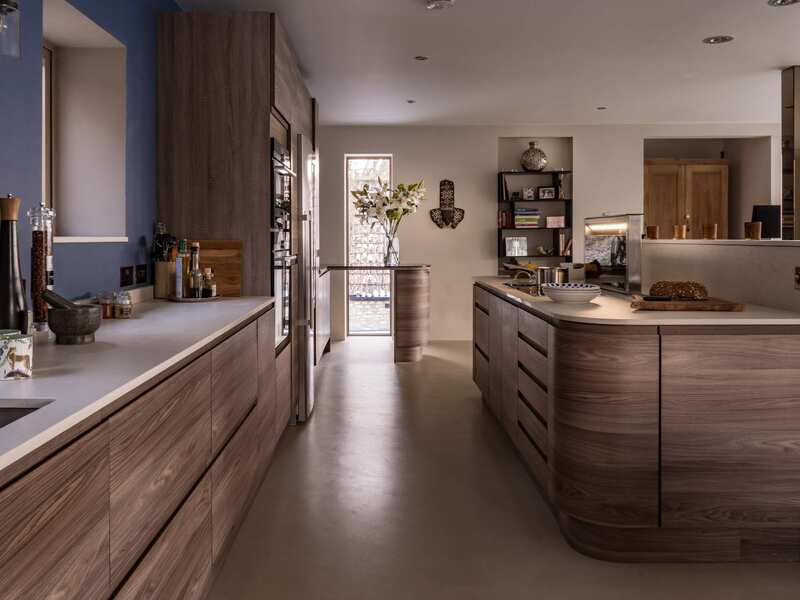 There is an integrated wood burning stove, Bose sound system and high specification kitchen with two Siemens ovens, an induction hob and separate Liebherr larder and wine fridges. 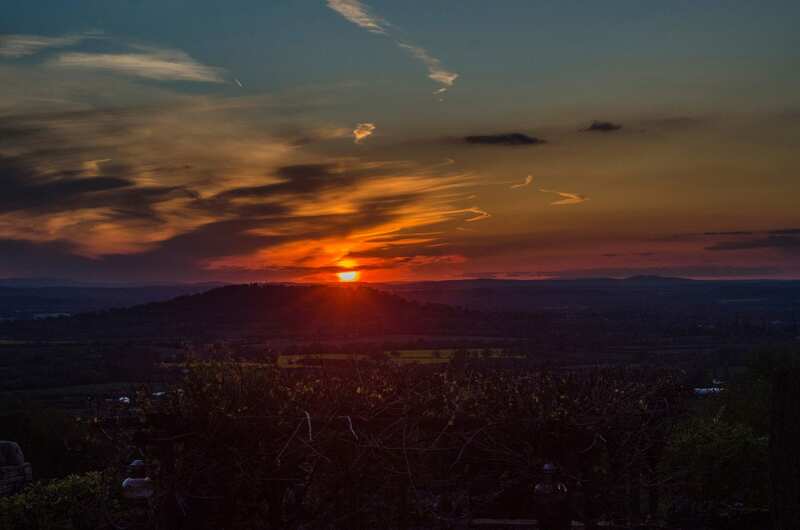 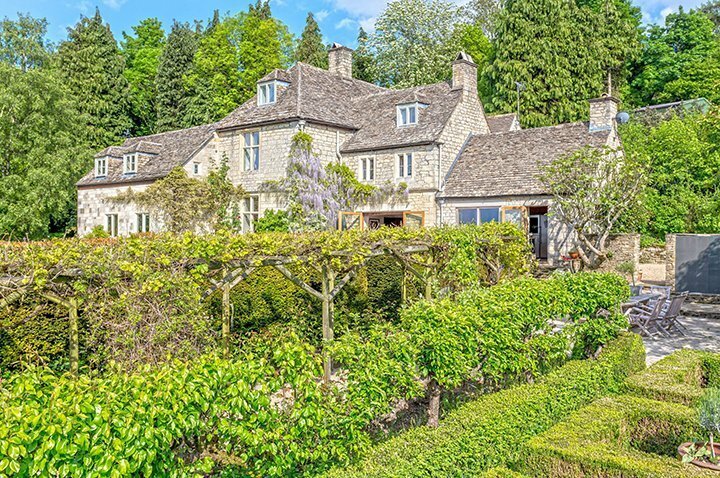 In such an idyllic rural setting it is easy to forget that the bright lights and culture of Cheltenham are only 5 miles away and the wider Cotswolds is also in easy reach. 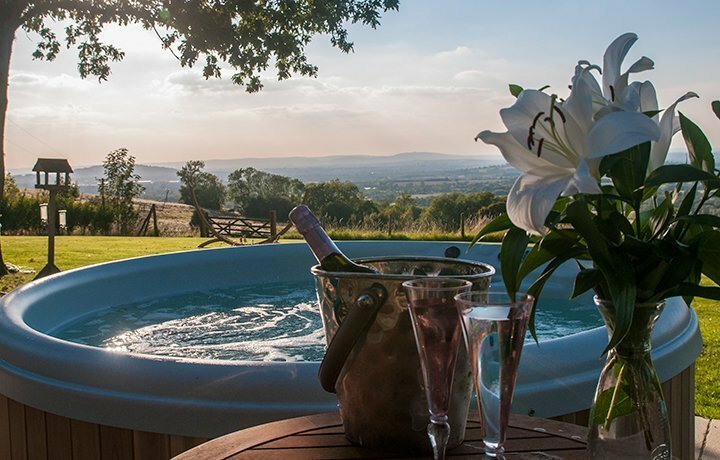 Dryhill Lodge can be rented in conjunction with the next door Little Lodge Dryhill and also in combination with the other properties on the estate for larger groups.